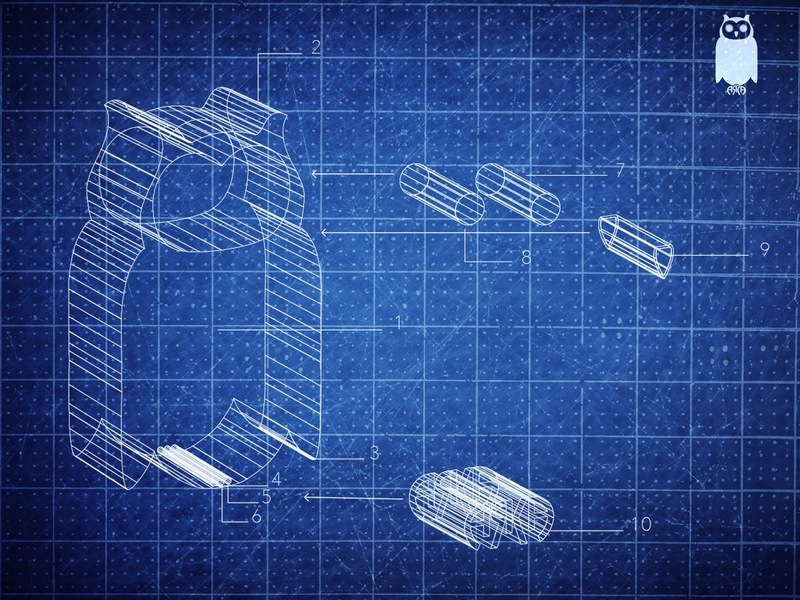 One of the defining moments for every company is the creation of their logo. The logo should be the embodiment of everything the company stands for. It should convey a message to the customer with words. Originally our logo started as a typeface we created that would have a symmetric aesthetic. At the time we felt that approach was straight forward and easy for consumers to identify. However we felt that something was missing. We intended on being a brand that sets itself apart with the artwork on the tees. We figured people would expect something more from us. Every well established brand is identified by a simple symbol. Obey has Andre the Giant, Lacoste has the Alligator, Nike has the 'Swoosh'. We needed something that would convey a message as to what we wanted to be. Our goal was to have designs that start a conversation, make people think, and had meaning. We felt like the Owl was a perfect representation of that. 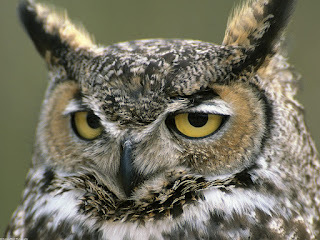 Throughout history, owls have been used as symbols of wisdom in countless novels. Next came the design process. This proved to be another challenge. What type of Owl did we want to emulate? How detailed should the logo be? We wanted to stay consistent with the symmetric aesthetic and give the logo a focal point: which we decided had to be the eyes. Next came the overall shape. 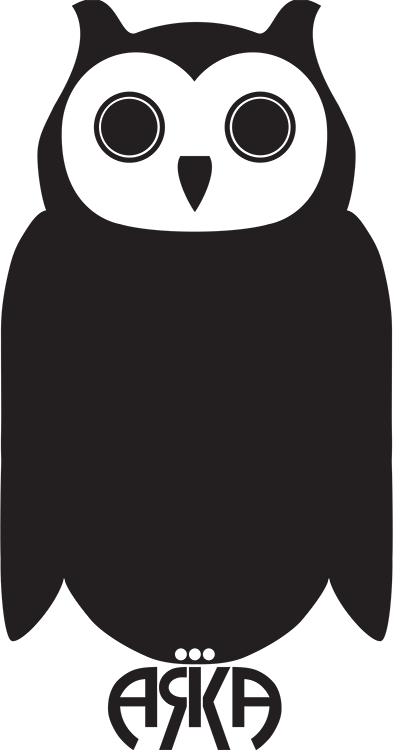 Owls have a very specific silhouette compared to other birds. The two 'ears' on top of the head were made to resemble a crown since the definition of 'Arka' is to be king of all kings. Owls don't actually have ears outside their bodies. Those are actually 'Ear Tufts' which is said to serve the purpose of camouflage. As a result our final logo resembles a cross between the Great Horned Owl, due to the ear tufts, and the Spotted Owl, because of the outlined face. The final piece of the puzzle was how to incorporate our name into the logo. Since our original logo was oval shaped and symmetric like Arkamedes, our typeface logo actually became the talons of the owl! It was a eureka moment and a bit uncanny as to how at certain times, things just fall into place. There you have it, you just learned something new about Arka and the owl species.